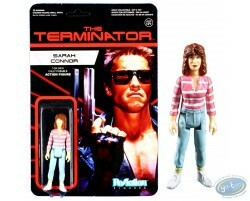 Rediscover Sarah Connor of the movie "Terminator" with this haughtiness action figure in the Kenner's style from the 80s. action figure of the collection ReAction by Funko. 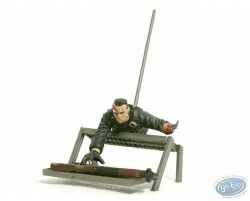 Rediscover The T800 of the movie "Terminator" with this haughtiness action figure in the Kenner's style from the 80s. action figure of the collection ReAction by Funko. Rediscover The T800 (chrome version) of the movie "Terminator" with this haughtiness action figure in the Kenner's style from the 80s. action figure of the collection ReAction by Funko. 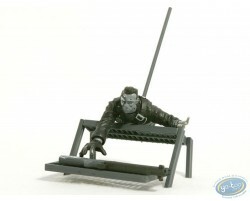 Rediscover The T800 of the movie "Terminator 2" with this haughtiness action figure in the Kenner's style from the 80s. action figure of the collection ReAction by Funko. Rediscover The T1000 (final battle version) of the movie "Terminator 2" with this haughtiness action figure in the Kenner's style from the 80s. action figure of the collection ReAction by Funko.